of how we use the landscape,” Dr. Hatfield-Dodds said. challenges facing the agricultural sector. with the support of the Department of Agriculture and Water Resources. then verified through local, expert and industry input and field validation. 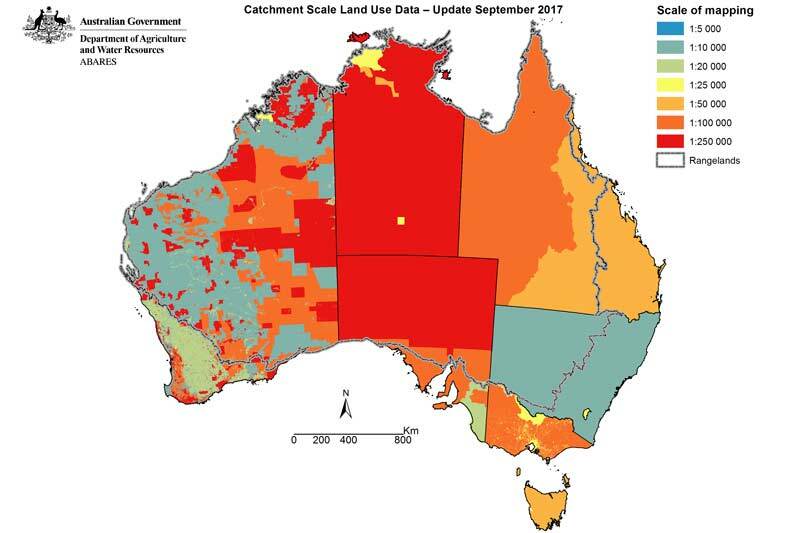 mapped) and a scale of 1:5,000 to 1:250,000.
new insights and analysis concerning land use in Australia. Livestock – dairy cattle, pigs, poultry, horse studs, aquaculture.